WASHINGTON, D.C. — A new documentary, Hate Spaces: The Politics of Intolerance on Campus, aims to expose what it calls the the left’s coalition with radical Islamic and antisemitic groups on college campuses throughout the United States, working together to marginalize pro-Israel students. The film was released by Americans for Peace and Tolerance (APT), a Boston-based non-profit headed by Charles Jacobs. It was produced by Avi Goldwasser, a seasoned documentarian who has devoted much of his professional life to addressing this issue. Hate Spaces claims that three leading anti-Israel groups — Students for Justice in Palestine (SJP), the Muslim Student Association (MSA), and American Muslims for Palestine (AMP) — are waging an expensive and allegedly Middle Eastern-funded campaign against the Jewish State of Israel. Goldwasser is a child of Holocaust survivors who was born in Poland and immigrated to the United States. His other works include Columbia Unbecoming, which focuses on anti-Israel bias at the Ivy League school; The J Street Challenge, about the radical far-left pressure group; and The Forgotten Refugees, which is about Jews who were expelled from Arab countries. 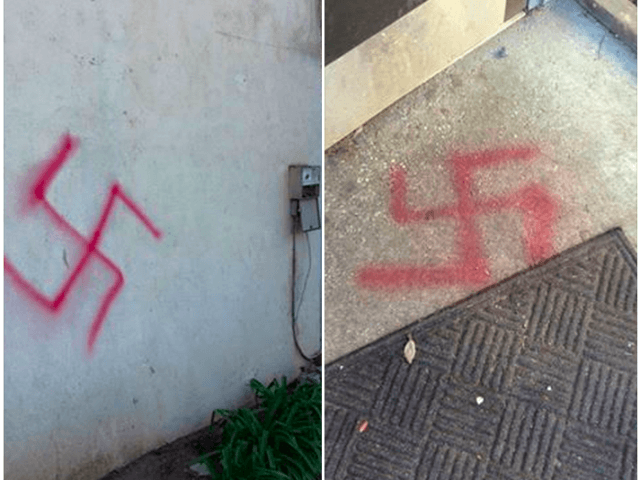 Hate Spaces highlights just a few of the most egregious displays of antisemitism that have taken place on American college campuses. For example, it notes that in in April 2013, Northeastern University SJP activists stormed a classroom and interrupted a Holocaust memorial service. “The lessons of the Holocaust were not learned, you are child murderers,” SJP members were caught saying on camera. In 2014, SJP was briefly suspended from Northeastern University by president Joseph Aoun for slipping hundreds of anti-Israel mock eviction notices under dorm room doors. In February 2015, four members of the nine-member UCLA student government voted against appointing Rachel Beyda, a female Jewish candidate for a student government body, suggesting her Jewish background deemed her unfit for the position. The students behind the attack on Beyda were active in the SJP movement. Hate Spaces also describes what it calls a “red-green alliance” between left-wing socialists and radical Muslims to undermine the Jewish state. Hate Spaces made its debut in New York on November 30 and will continue being screened throughout the United States until the DVD is released later in 2017.